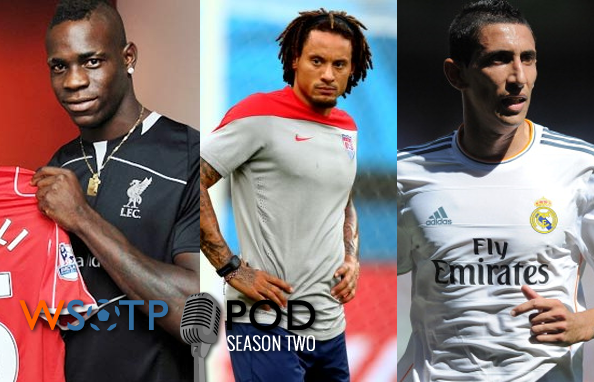 Transfers were on our minds as we recorded the third episode of the season of the WSOTP Podcast. Big names on the move, both domestically and abroad, dominated our conversation this week. And Jeremy and D.J. not only pontificate on the merits of quite a few those big ones, but also on who should and shouldn’t be making some last minute moves before the European window slams shut next week. That being in addition to the usual thoughts on the weekend action in England and America. Too, they once again nominated their Winners and Wankers from the past week and answered some questions from some of our faithful listeners. So grab a drink and saddle up for another edition of your favorite podcast. Want us to field your questions on a future podcast? Drop us a line at contact[at]wrongsideofthepond[dot]com or send us your tweets using the links at the bottom of the page.